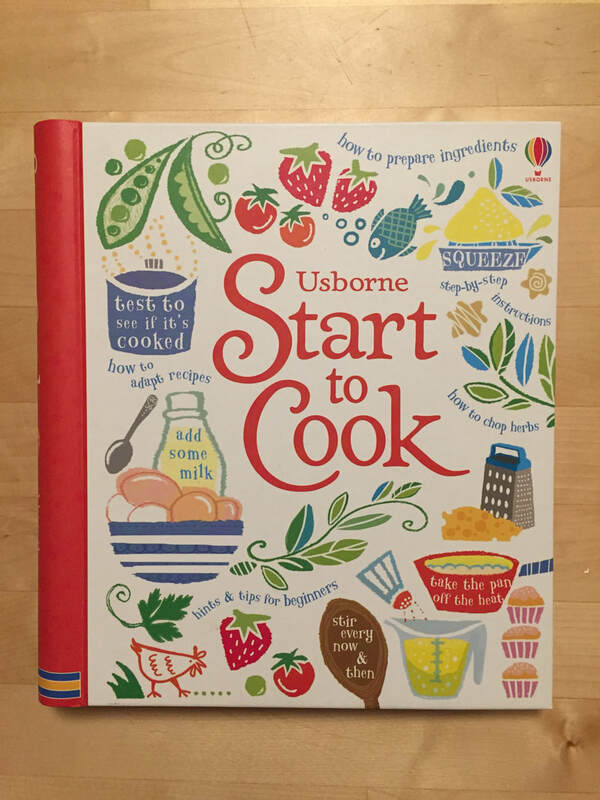 Explore the Usborne Start to Cook cookbook! 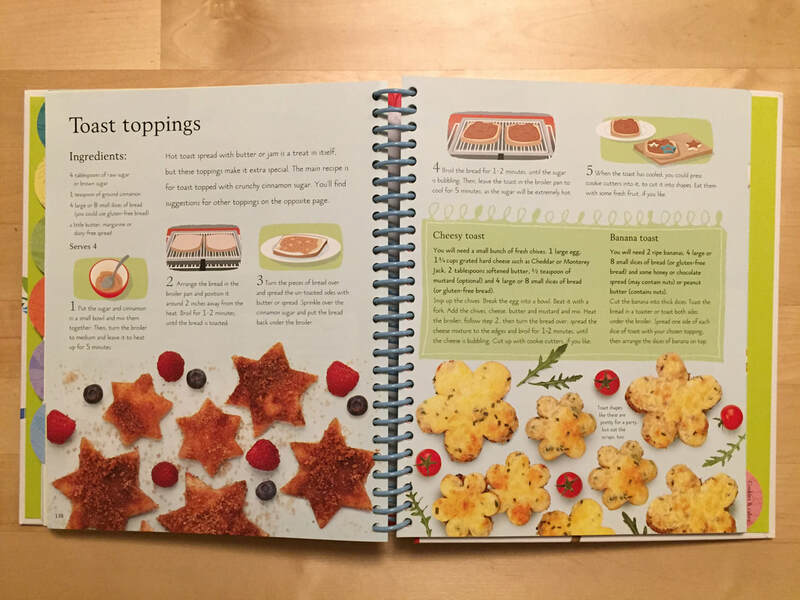 This is a fantastic beginning cookbook! 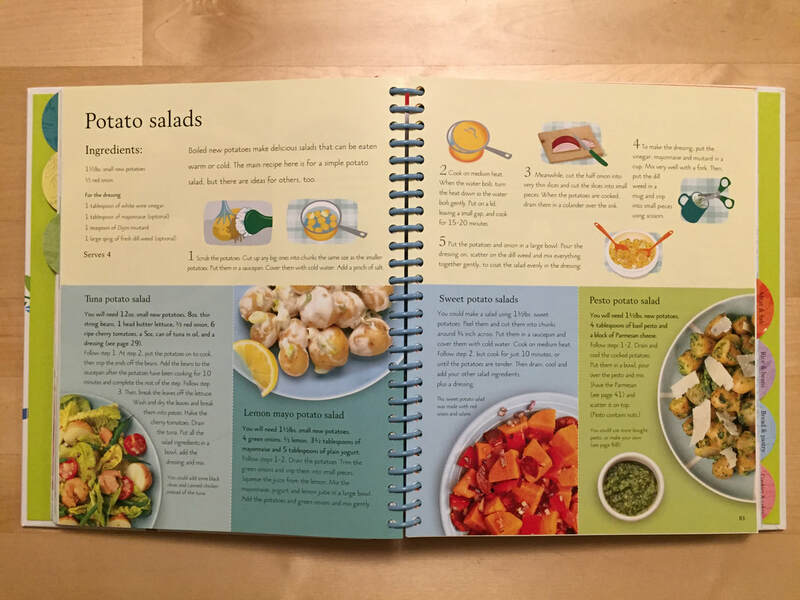 Besides including a great variety of practical and fun recipes, it introduces your young cooks to good practices in the kitchen and the basics they can build on. Here are a few recipes you can try out. 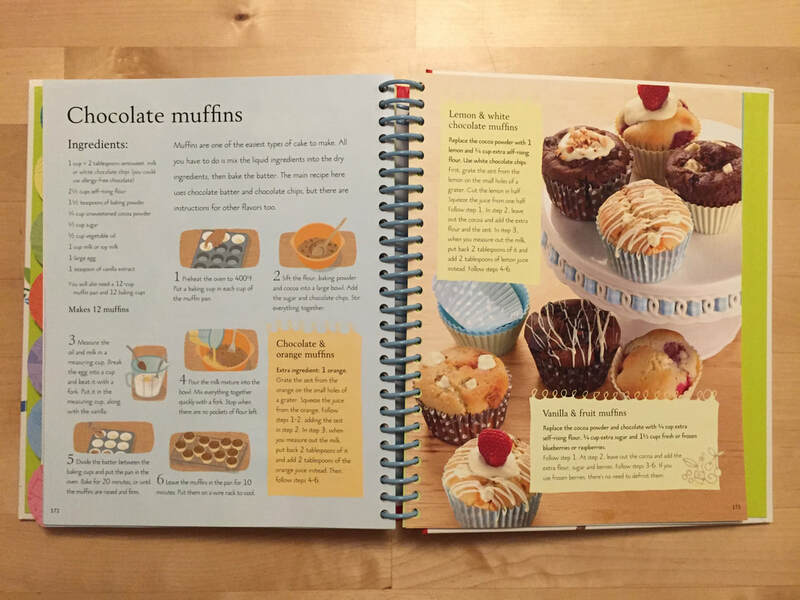 I've chosen recipes with ingredients you are likely to have around the house for simplicity's sake, but there are many more to explore in the book that will expand your pantry! *A note about flour: these recipes call for self-rising flour. If you have only all-purpose flour at home, simply add 1tsp baking powder and 1/4 tsp salt for each cup of flour the recipe requires. These are simple but fun! 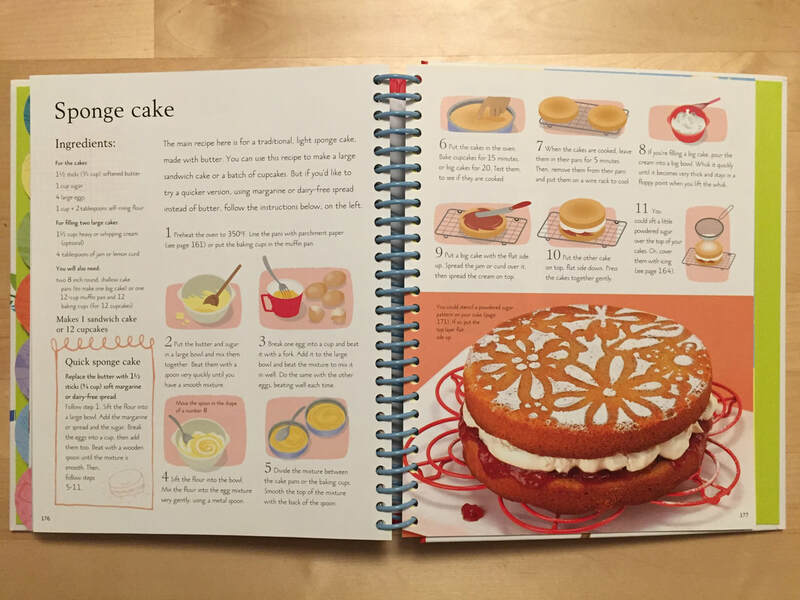 And the variety of recipes will undoubtedly spark the imagination of your young cooks. 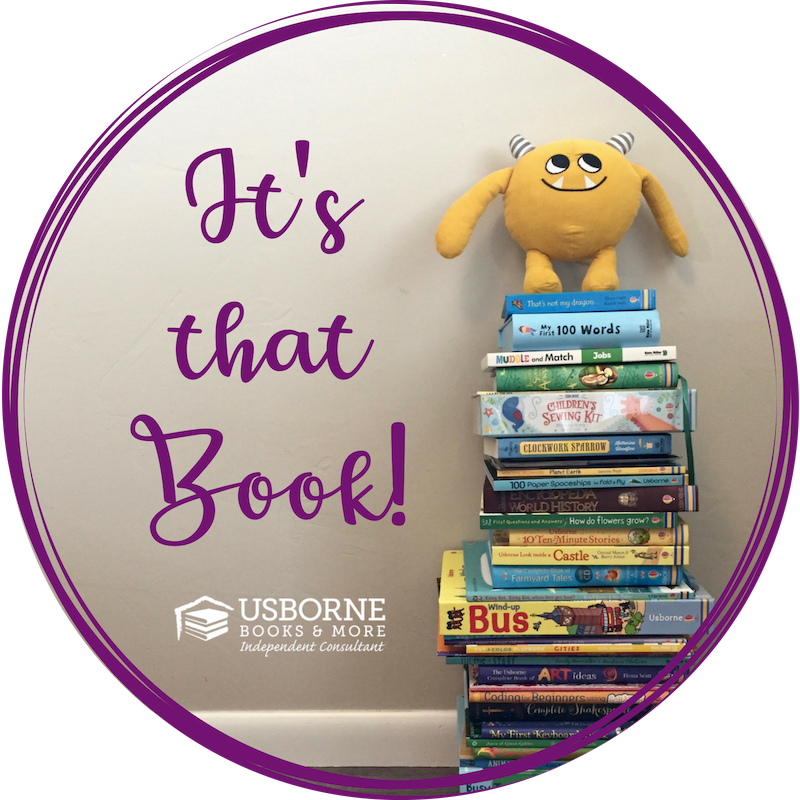 What else could we try...? 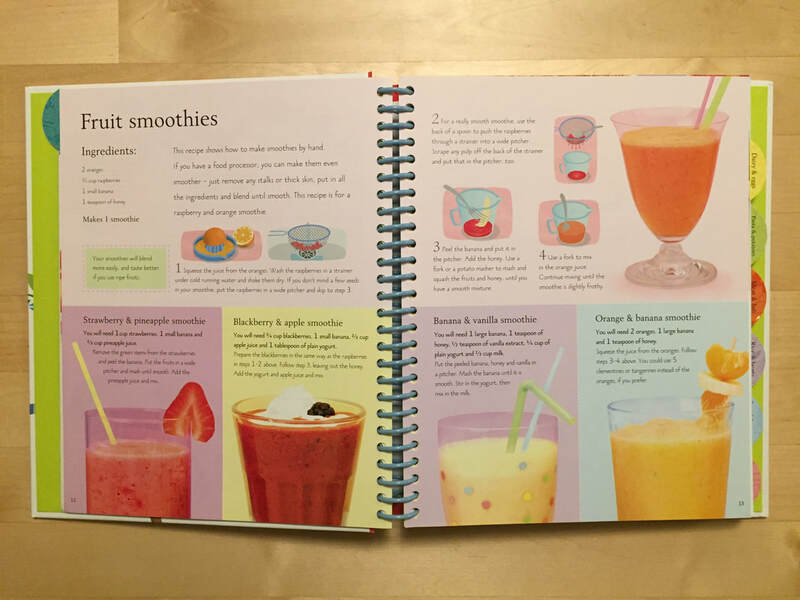 I appreciate the variety and alternatives this cookbook provides for many of its recipes! These are simple but fun! Best to make with thin sliced bread. The resulting muffins! Impressively fluffy and well-risen for being baked in the mountains... and delicious! 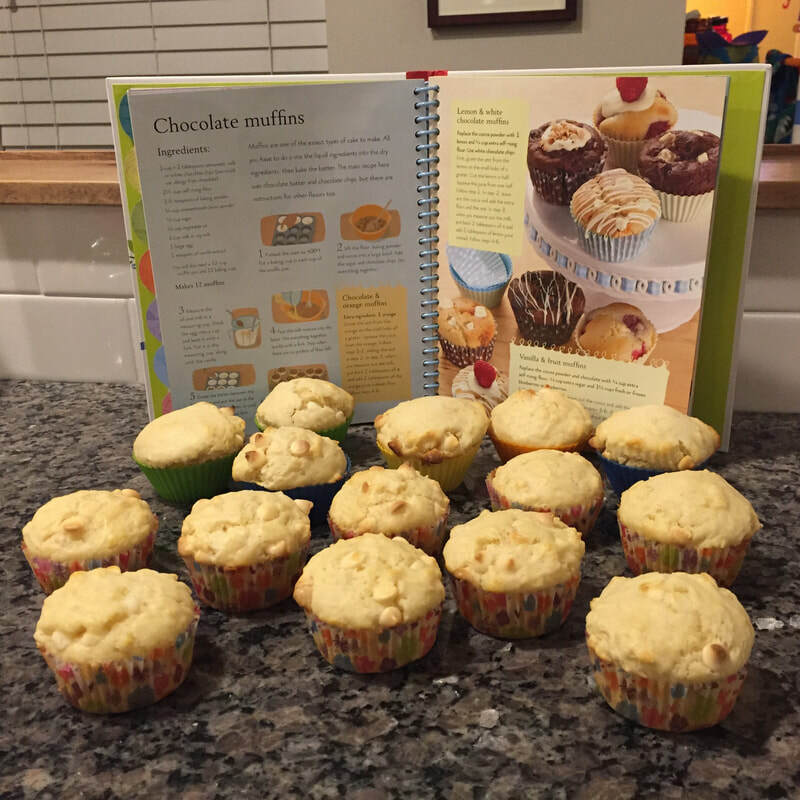 Preheat the oven to 375 degrees F. Put a baking cup in each cup of the muffin pan. Sift the flour and baking powder into a large bowl, then add lemon zest. Measure the oil and milk in a measuring cup. Add lemon juice. Break the eggs into a cup and beat them with a fork. Add to the measuring cup, along with the vanilla. Pour the milk mixture into the bowl. Mix everything together quickly with a whisk. Stop when there are not pockets of flour left. Divide the batter between the baking cups and put the pan in the oven. Bake for 22-24 minutes, until the muffins are raised and firm. Leave the muffins in the pan for 10 minutes, then put them on a wire rack to cool.